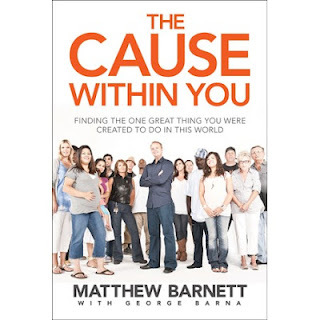 Several years ago, I had the opportunity to attend a convention and to hear Matthew Barnett, author of The Cause Within You: Finding The One Great Thing You Were Created To Do In This World. Matthew is the son of megachurch pastor, Tommy Barnett--a guy who grew up in the Church. He had a life in front of him as a result of his pedigree--- a life of success in the Christian world, the likes of which not many others ever experience. Then Matthew gave all of that up to pursue God's calling to serve the poor, the marginalized, the broken and the forgotten people on the fringes of society, and in one of the most difficult places to do it: Los Angeles. 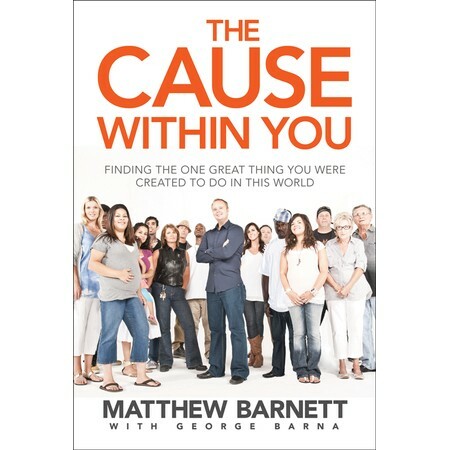 The Cause Within You is the story of how Barnett pursued this call, and founded the Dream Center in Los Angeles. The Cause Within You is full of stories of hope and transformation. It is the story of how God loves us and has a difficult plan for our lives. It is an inspirational and powerful book that pulls no punches, and offers to the reader an example to follow and a hope to champion. I commend this to anyone who is struggling to find God's will for their life, seeking purpose and meaning or who genuinely desires to be inspired and challenged.